One fifth of the human population uses social networks and one third of world travelers access them during their vacations, especially to share experiences, info and pictures of the places that they are visiting, and to look up information concerning the local area and the available services. Data from both eDreams (link: http://www.edreams.it/) and eMarketer (link: http://www.emarketer.com/) shows that the two most used social networks during vacation are Facebook and Instagram. According to the website adMaiora (link: http://blog.admaiora.com/), in the first five months of 2014 almost 1.8 billion pictures have been shared online, corresponding to an increase of 500% in three years. 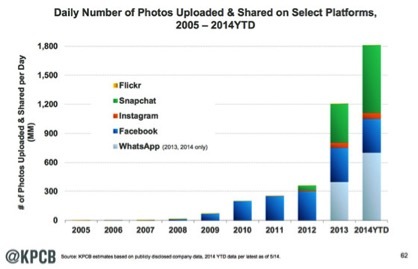 Whatsapp and Snapchat are the platforms where most of the photos are being uploaded. The need for young travelers not to be disconnected, but instead to keep always their communication channels open is proved by a 2014 Skyscanner Survey (link: http://www.skyscanner.it /). These data collected report that the main criteria adopted during the evaluation of a hosting facility is the presence of an open wi-fi connection, second only to breakfast included in the price of the facility. For sure it is not really relevant which social network is chosen, but the choice itself to be part of the virtual world, to use the digital infrastructures. 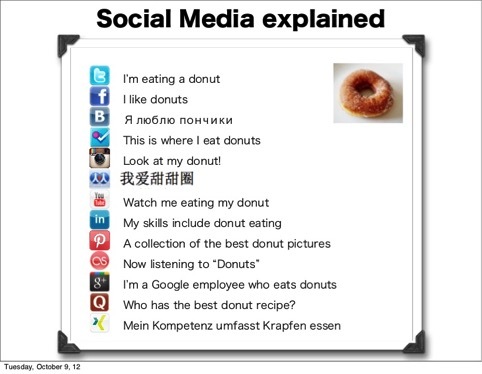 This picture is not necessarily bad as it is renown that, behind the online sharing of information and emotions, a need of socialization may be hidden. Furthermore, this phenomenon leads to practical and informational consequences as the UGCs (User Generated Contents) become, more and more every day, a powerful bottom up tool to evaluate vacation experiences. The public judgment on facilities and services enhances those providing good or outstanding performances, while detecting the disappointing ones. The danger of experience sharing -beyond any privacy issue- is hidden in the common and, apparently, innocent sentence “let’s go somewhere cool, so we can take a selfie”. The “so” can be very straight forward meaning “taking this chance to take a selfie”, but it becomes symptom of an issue when it reveals the subconscious will to go to somewhere at the sole sake of taking that picture to share it online. The journey, the experience, becomes subordinated to the main goal of showing it off through social media. The inversion of the relation among the journey and the fact of documenting it, enhances the relevance of social media in our daily life and empties the inner meaning of the journey. This paradoxical situation brings back to memory an old joke: the story of a man who wrecks on a remote island together with his dream woman, Julia Roberts. After a long period of courtship, he finally makes his dream come true and get to sleep with the beautiful actress. The following day the man has to admit himself that the experience was not what he was expecting but indeed incomplete. To reach the maximum satisfaction and accomplishment he eventually asks Julia Roberts to dress up as a man, so he can at least pretend to tell someone he slept with the diva. Beyond the laugh, this joke reveals and underlines the lack of emotional self-confidence of the average man and fits as a nice way to explain the increase of geo-localized selfies among youngsters (and not only) from all over the world. 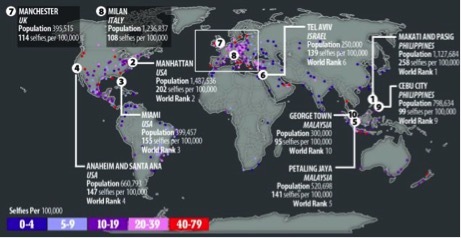 In the following graph from “The Time” we can see the locations around the world where most of the selfies are taken. From the literary and historical perspective, the existence of a narrator is a necessary condition to achieve storytelling, meant indeed as a story building. The narrator has the power to make up a story out of a fact, to transmit it to future readers and, in particular, to create a character out of a simple person and to associate that character with certain values. The results are often too generous to the hero and not enough historically reliable. Under this light, social networks allow those who are armed of a reasonable dose of perseverance, to be epic narrators of themselves, creators of their virtual faces and social selves (with all the psychological risks of detachment from the real world, and the consequent illusion of what it possible and delusion of what is real). Again, among “telling everybody” and “doing something to tell everybody” there are substantial differences but also the seeds of performance anxiety (like when the night before an important event we repeat ourselves “I must fall asleep” over and over). This anxiety happens systematically when the ultimate goal to be achieved for a traveler is no longer the travel and the experience itself, but “getting to” have fun, “getting to” visit relevant places to look like a successful traveler and making sure for everyone to be aware of it. The paradox is that this trend is happening in a time when travelers are in search of authenticity and folkloric experiences. In other words, the general public of travelers seems to reject “touristic” activities and destination, avoiding standardized experiences but seeking a more unique and personal contact with the true local environment. It seems clear how a traveler whose main motivation comes from the possibility to take a selfie in a specific location shows a picture that is incoherent with the genuine environment, with the spontaneous, honest and true travel experience. As to say that, while several destinations become more and more authentic, travelers become only pretenders. These thoughts are obviously the result of an on the edge discourse which leads to extreme consequences, nonetheless the forcing is necessary to make this undeniable trend more evident. The author is however well aware of the fact that many distinctions can be made about the different kinds of tourists, travels, destinations and use of social media. Social media, as internet, computers and technology, are not good or bad by definition, but neutral tools (notwithstanding the luddites). It is the way in which these devices are used to shape them, to make them harmful or profitable; it is the meaning that users convey to determine their emotional meaning or, on the contrary, being meaningless. The same goes for the relationship among the use of social media and the experience of the travel: the line among the useful exchange of information, tips, advices or experiences and the finalizing of the travel to the fancy shoot to be posted on the web, looks like a detail, but indeed puts apart two distinct and distant realities.